Summary: LUM researchers shed light on how an RNA binding protein is involved in learning and memory. Learning requires the chemical adaptation of individual synapses. Researchers have now revealed the impact of an RNA-binding protein that is intimately involved in this process on learning and memory formation and learning processes. The formation of memories requires subtle changes in brain structures. 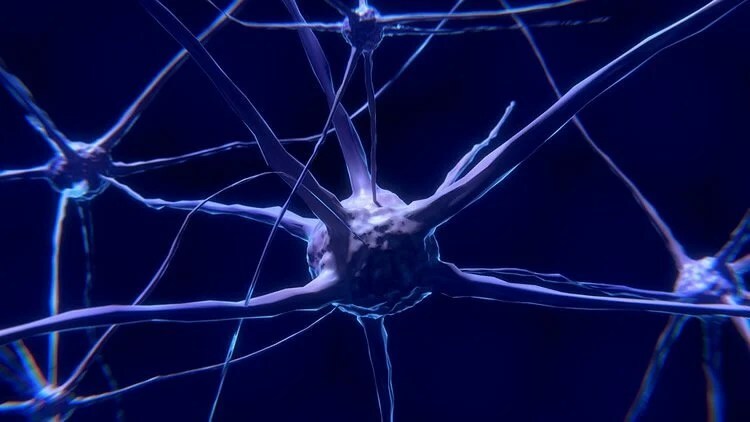 This is because learning and memory are the result of the incessant modification of synapses – which provide the functional connections that enable nerve cells to communicate with one another. The long-term molecular alterations involved in this process are encoded by so-called messenger RNAs, which are produced in the nucleus of the neuron and must be transported to the appropriate synapses in order to program the synthesis of specific proteins “on-site”. In previous studies, LMU scientist Michael Kiebler has shown that the RNA-binding protein Staufen2 plays an essential role in conveying these mRNAs to their destinations. But exactly how this molecular process actually affects learning and behavior was not well understood. Now, a study carried out by the Kiebler group, in collaboration with Dusan Bartsch (Mannheim University) and Spanish colleagues (Seville University), has shed new light on this issue. The new work shows, for the first time, that reduced levels of Staufen2 are associated with a specific impairment of memory. The findings appear in the journal Genome Biology. The researchers made use of a genetic rat model that has been developed and refined over the past decade, in which the synthesis of Staufen2 can be conditionally and selectively suppressed in nerve cells in the forebrain. They then characterized the effects of reduced levels of Staufen2 protein on memory using behavioral tests that measure the efficacy of spatial, temporal and associative memory. These tasks are known to depend on synaptic plasticity, i.e. the ability to actively adjust the efficiency of communication between specific synaptic networks, in the hippocampus. The results clearly show that the reduction of Staufen2 in the forebrain has a negative impact on several aspects of memory. Depletion of Staufen2 also has a marked effect on nerve-cell morphology and synapse function. With the aid of electrophysiological measurements, the authors analyzed the efficiency of signal transmission across synapses in the hippocampus, and found that both long-term potentiation (LTP) and long-term depression (LTD) are affected. LTP is a mechanism that results in a long-lasting increase in the efficiency of synaptic transmission, and thus strengthens the functional connections between them. LTD, on the other hand, diminishes transmission efficacies, and effectively disconnects previously established connections. Strikingly, reduced levels of Staufen2 enhance LTP, while they impair LTD. These tasks are known to depend on synaptic plasticity, i.e. the ability to actively adjust the efficiency of communication between specific synaptic networks, in the hippocampus. NeuroscienceNews.com image is in the public domain. These findings suggest that deficiency of Staufen2 makes synapses more responsive than they would otherwise be. “LTP is regarded as a model of learning at the cellular level. However, our results indicate that it is actually the balance of LTP to LTD that is important. This is clearly perturbed in the absence of Staufen2”, Kiebler points out. The researchers therefore assume that, under these circumstances, synapses become highly responsive, and not enough are repressed. This could imply that information which is normally consolidated in long-term memory is prematurely destabilized or perhaps even wiped out. Funding: The research was primarily financed by the National Institute of Mental Health. LUM “The Chemistry of Memory.” NeuroscienceNews. NeuroscienceNews, 24 November 2017. LUM “The Chemistry of Memory.” http://neurosciencenews.com/memory-rna-neuroscience-8025/ (accessed November 24, 2017).